Power Maxed Iron Off Fallout Remover 500ml + Free Complimentary Micro fibre Cloth and Shampoo & Ultra Wax Sachet. 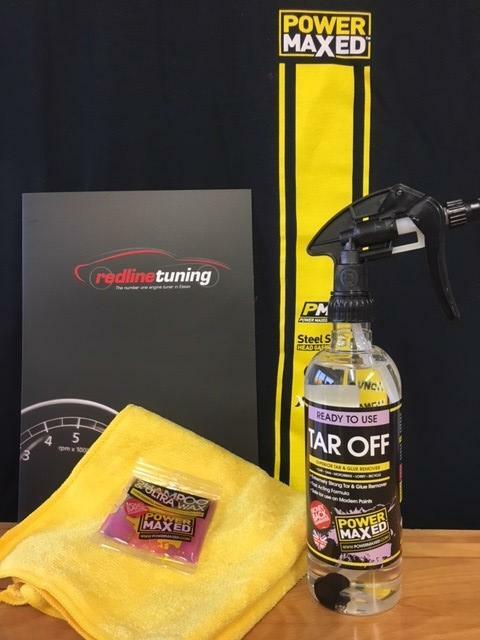 Power Maxed Tar Off easily removes bitumen tar, rubber residues, glue and adhesives from decals, vehicle wraps, paint protection films and wheel weights. Its strong, solvent based formula dissolves contamination immediately with little or no agitation, usually after one application.